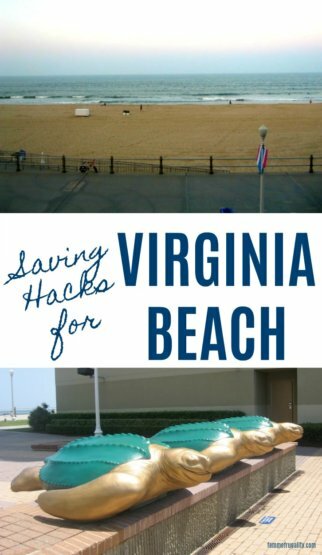 Today we hop in the way-back machine to revisit an ultra frugal trip my husband and I took to Virginia Beach six or seven years ago. Time flies! Traveling is my favorite thing to do. It can be expensive, though, so today I thought I’d show you how to do a popular East Coast destination on a restricted budget. All the fun for a lot less money. Let’s go to Virginia Beach. Virginia Beach is eight hours away from Pittsburgh by car, which was totally manageable for us. For other east coasters it may be a little further or a little closer. You’d be surprised how quickly those eight hours fly by, and if you do the math, the gas really isn’t all that much versus flying despite the crazy prices at the pump. If you’re having issues getting gas money, save up some fuel rewards points from a grocery store you frequent. I’ve used this trick to get a free tank before! Right before Memorial Day or right after Labor Day. This is called the shoulder season, and is the best time to visit almost any vacation destination. Prices on everything will be seriously slashed, but pretty much everything will be open. If you travel really close to either holiday, you get all the benefits and all the savings. Schooner Inn. Hands down. Our experience was that fantastic. It’s a smaller hotel, but it’s on the boardwalk. The rooms are pretty economically sized, and the decor is a bit outdated, but they are CLEAN CLEAN CLEAN. While only some of the rooms have living space, the amenities will not disappoint. Most rooms have a hot tub. All have a mini fridge, microwave, and sink. Some have a dishwasher and range along with a kitchen table. They have a pool for guests, and every single room faces and has a view of the beach. On top of it all, there’s a water park for kids just outside the hotel on the beach. While you are on the boardwalk, you’re at the very end of it so you’ll need to be prepared for some walking. We actually enjoyed this aspect of it. 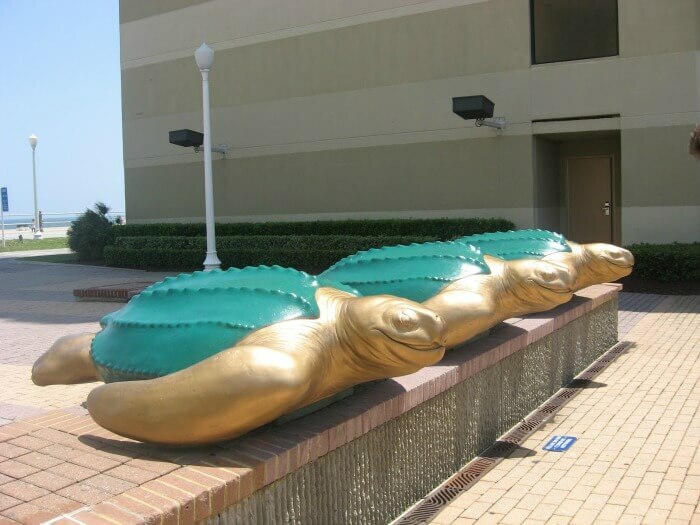 There’s tons to see and do along the boardwalk on your way to your destination. When we stayed here, we got a room for $60/night. I want to reinforce to you that this is not some crappy motel. We got a great price on a perfect room because we went at the right time and were willing to walk. What isn’t there to do? There’s a mini amusement park on the boardwalk. A couple blocks inland there’s tons of mini golf places. A bunch of mouth-watering places to eat and drink. The other tip I have is COUPONS. Whenever I go on vacation, I sign up for the LivingSocial for that area. If anything fantastic comes along that I can use, I’ll purchase. If group coupon sites aren’t your thing, the Schooner Inn (as most hotels, I’m sure) will have coupons books waiting in your hotel room or at the front desk. USE THEM. They’ll save you tons. You can also bring food along to cook a few meals. Bring your own bottled water for sure. You do not want to pay boardwalk prices for hydration. Do as much of your frugal planning and preparation as possible before you go. That way when you get there, you can just relax and enjoy the view from your hot tub. That’s the whole point of taking a holiday anyways, right? This entry was posted in travel, Ways to Save Money on January 16, 2018 by femmefrugality. I went to Virginia Beach a couple years ago with my dad & brothers. It was so fun. It was beautiful down there and it’s a pretty cost effective vacation spot. I’d go there again for sure! I’m so glad you all had a good time! It really can be budget friendly, too, with a little planning. 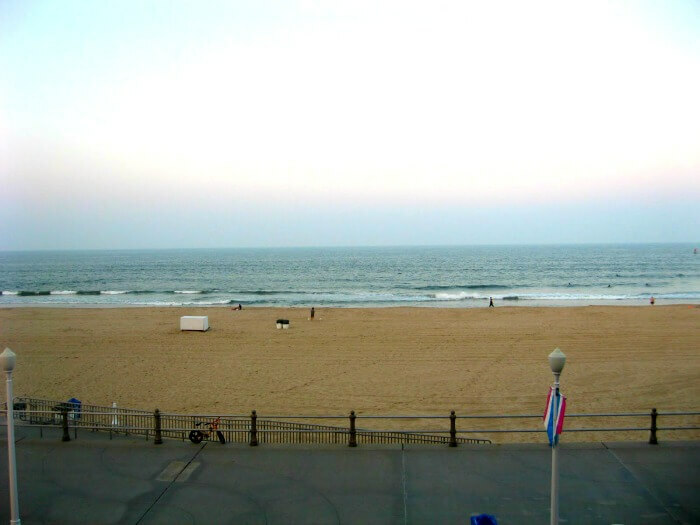 I’ve definitely been thinking about Virginia Beach for one of our next vacations! awesome! i actually almot went there with my PA family but we opted for Jersey Shore instead (no, we are not like that at all! it wasn’t a partying trip). I would love to check this out! Haha I’ve heard good things about Jersey Shore, too. Most people I know head to Atlantic City for the gambling. Not really my scene. I’ll keep this in mind! I live 8 hours away from my hometown but the drive seems so daunting sometimes. I’ve not been there in a long time…it is fun and pretty. My name is Sarah and I’m with Dwellable. I was looking for blog posts about Virginia Beach to share on our site and I came across your post…If you’re open to it, drop me a line. I have to be honest, I never really thought of Virginia Beach as a travel destination. But now I’ve changed my mind. Affordable beach with lots to do? I’m in! After reading this post I must admit I am ready to pack my bags! It’s too far for me to drive, but if I get a good deal on a plane ticket with Southwest, who knows? I might just have to make a trip to Virginia Beach! That would be one heck of a drive for you! But it’s definitely fun if you ever make your way out there. I am so glad you are sharing these posts again. I know I went straight to your archives when I found your blog a few years back, but there’s still so much I missed. This definitely seems like an awesome and frugal trip! Glad you’re enjoying them! I’m close to 1,000 posts, and I’ve deleted some of them as they’ve become irrelevant or I decided they just weren’t up to par as time went on. So definitely A LOT to sift through! I know what you mean by “shoulder season”; that’s when we went to Universal last summer and it was perfect. We got four days for less than the price of three would be a week later. Our room cost less and to top it off, the parks were less crowded. Win-Win-Win. Exactly—we did Disney right at the same time. It’s a great time to travel! I want to go to a nice warm beach now but I guess I’ll wait. I’m looking up the distance from Michigan to Virginia beach now! I know–warm beaches sound amazing this time of year! I’ve never been to Virginia Beach, but it sounds like a great time! I love how you found so many ways to keep costs down. Definitely. I love to travel, but I also like not being completely broke haha. So I try to find ways to make travel happen on as limited of a budget as possible without missing out on key experiences. It’s always an adventure!